At the start of this final semester I outlined my objectives and proposal for Practice 2 (objectives noted below). The proposal stated that I would produce a a research-led magazine aimed at 18-24 year old females, which synthesises findings from academic research in both Semesters 1 and 2. The target audience would have an interest in fashion, beauty and the wider context of the industries. 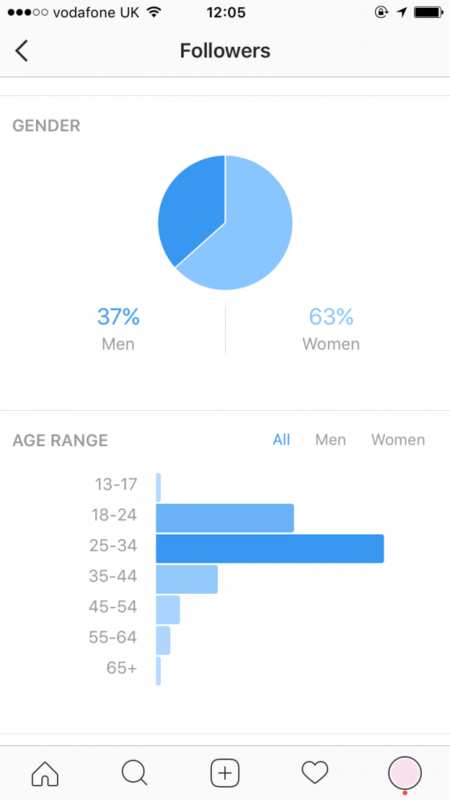 However whilst in the process of writing, designing, editing, art directing and carrying out on-going test-based research via Instagram (through insights/analytics generated by social media statistics), it was found that the target audience was broader with a demographic of both males, and females between the ages of 18-34. B) With body image on a cross-cultural scale (Females, 18-24; Tokyo, Japan). 2. To understand policies and guidelines within the Fashion and Beauty Industries currently encouraging positive body image. 3. To work with and interview those both actively working in the Fashion and Beauty Industries, and those on a consumer/follower/user basis, to compare behaviours and perspectives in relation to body image and self-perceptions. I collated various forms of research from previously covered topics, i.e. interviews, questionnaires, research trips, theory and academic findings. For example, in order to produce a publication which explores the ‘real’ fashion and beauty industries in a cross-cultural context; highlighting positives, yet also the negative issues surrounding self-perception, self-esteem, narcissism and body image in relation to/as a result of social media and magazines. 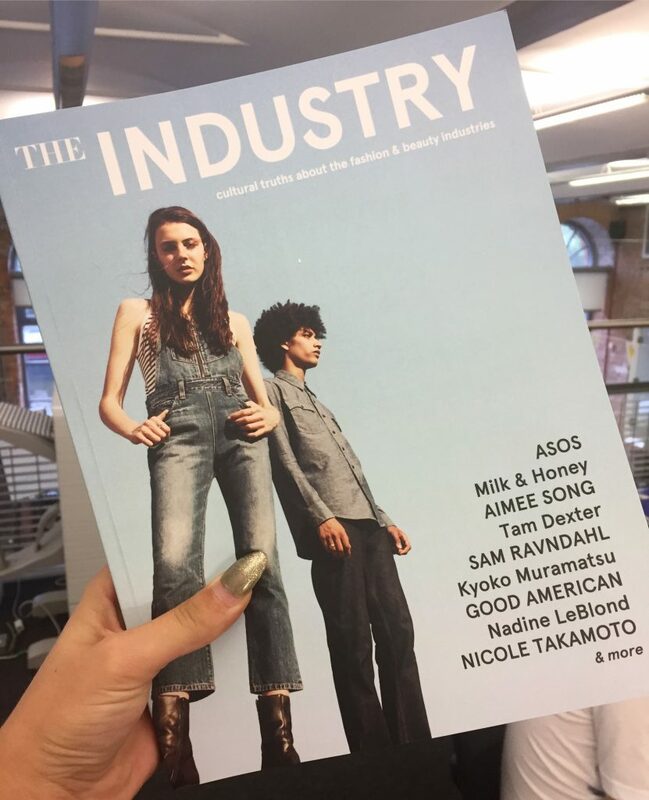 The first issue of magazine produced, titled The Industry, showcased Western issues, as well as focusing on issues seen in Japan, which were discussed in my dissertation to add a cross-cultural tone, whilst considering target audience and the interest of reading a range of topics/articles/interviews. The magazine has become a multi-purpose magazine and is a hybrid of an academic, yet relevant document and sourcebook for those working in or interested in the noted topics and industries at hand. It is also a collaborative/critical object which challenges, critiques, questions, informs and aims to educate and stimulate conversation, debate and thought alike. Furthermore, the magazine looks like a fashion magazine but has contradictory and cynical content, working in a similar way to artist Amalia Ulman. Ulman works with similar processes and critical ways of practice. I believe that the most critical part of this comparison and practice is that like Ulman I am working in the medium which I am also critiquing, critisicing and questionning, showcasing an ‘insider’ perspective through the choice of output (magazine) content, collaborators and angle of writing. An indeth an analysis of my work in relation to Ulman’s can be found here. The Industry magazine and ways of working can also be likened to the publication Ad Busters, whom grew a publication into a business through critiquing the industry of their work. This module again uses an Interpretivist methodology as seen in semester 2 (Saunders, 2012), which acknowledges different cultural viewpoints and realities as valuable knowledge. Throughout the editing, writing and design process, the magazine became a naturally collaborative project in regard to content creation and exhibitions through working with a range of industry contacts, which has strengthened the outcome of the first issue. A list of contacts that have been made during Semester 2 and 3 allowing for the first issue of The Industry magazine to come to life and be exhibited and shared, can be found here. I hope to continue to work with these contacts, whilst also building on these, and forming new relationships with relevant industry professionals for issue 02. Detailed and in depth plans for the second issue can be found here. For the second issue, I plan on looking at Europe (England, Spain, Italy, France – the main beauty and fashion capitals of mainland Europe) in the hope of understanding how Brexit and the current political climate will affect the industries, brand growth, marketing, sales and education, for example, in the sector. I also would like to look more into the ‘male’ side of the noted issues. However, since using the Instagram account and realising that there is a wider demographic of those interested (both age and gender), I have decided to research into this much more intently. I also plan on producing a website (this was initially planned in my original proposal for this semester and module, however the magazine and associated work to fulfil this to a great standard took priority) which will allow for a digital platform for ‘The Industry’ to become a collaborative hub. By this I mean that the magazines will be showcased digitally, allowing for international readership, reach and exposure, whilst also opening up doors for people to contribute via a contributions email address, or call outs (website and social – for relevant content for the decided overarching concept/issue at hand) – articles, stories, news in their country/area, photographs, etc. This will form a ‘collective’ approach to the magazine. I plan on hopefully forming the magazines in the future from soley collaborative content, with myself becoming sole editor, opposed to fulfilling all of the roles needed to produce a magazine. This will allow for a quicker turnaround in magazines (perhaps 4 a year), whilst also allowing for the magazine to have a further range of perspectives from a wider range of contributors. Throughout these various processes, 16 development stages of the magazine have taken place (in the form of JPEGS/PDFs showing development in regard to typography, layout, design and content which can be found throughout my blog) which cover the roles as noted above. For example, an article would of been thought of in regard to concept, then be written based on research, edited, designed into the magazine, art directed (particularly when my own photography has been done, i.e. ‘Insta-Glam’ article/feature with Charlotte Stacey) and then designed into the layout of the magazine, and further edited and perfected. Each article, or feature has been an individual process, taking into account typography, layout, colour scheme and photography choices etc, in an aim to strenghten the particular feature. A small selection of fonts have been used throughout which was an intentional, and informed design decision allowing for a serif font, ‘Perla’ be used to represent ‘high-end fashion and beauty’ relating to the likes of Vogue and Harpers Bazzar, whilst a sans serif font, ‘Apercu’ in various weights has been used to allow for an aesthetic and tone to be portrayed which allows a feeling of ‘openness for all’. Page counts were also taken into account, and at times, pages were taken out and re-edited, i.e. Good American allowing for a stronger article overall. Another example of where the above processes were put in place and executed was the ‘Insta-Glam’ photoshoot and feature spread with Charlotte Stacey, which aimed to mimmick a beauty vlogger and trends, in order to show how staged final ‘look’ photos could be, whilst also showing a wealth of stages and products involved in a satirical, yet realistic and relatable manner. Again this is working in a similar way to Ulman. For this piece of original content, I sourced a model, art directed and set up the shoot, took the photos with professional photography equipment including backdrops and continuous lighting, worked with, selected and edited the images in post-production prior to working them into the magazine feature and final composition, as well as directing the ‘look’ I envisioned including makeup, hair and styling (roleplaying session stylists). This module and project has allowed for problems in the industry surrounding self-perception, self-esteem, social media, narcissism and body image in relation to social media and magazines, for example, to be highlighted through the first issue of the magazine. Examples of cross-cultural and global topics include models and eating disorders, mental health and social media and the new found fad of live streaming girls in China. This allowed for carefully and sensitively written articles to be showcased in an aim to raise questions and provoke thought. Other topics such as positive brand influences have been written about to contrast this and showcase a more ethical and inspirational side to the industry and practices discussed. Examples of this include Good American and ASOS (interviewed in semester 2), for instance. 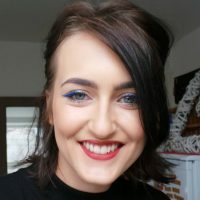 In regard to project management, time management strategies were implemented at every stage of the module, whilst working to my own deadlines due to applying for jobs, completing interview briefs, attending interviews and carrying out freelance work. Plans were set in place for the design work and writing (as seen here and here, for example). As I have been working full time for the majority of the module, I have had to work diligently and prioritise more so than in the previous semesters, however I feel this has made me work much more concisely which I feel has been a positive outcome and learning curve, however on occasion still exhausting. Using Instagram as previously discussed also allowed for additional content to be planned, created, amended and mapped out accordingly based on response and feedback. My current job role is working as the Lead Graphic Designer for High Definition Beauty (formerly known as HD Brows), which I have written about on my blog previously here. It has been noted that my knowledge which has been developed through the course of my MA enabled me to secure a job working for an ethical company which fits in with my moral groundings and beliefs of diversity and equality within the industry. Everyday I utilise my design and conceptual thinking skills, whilst also working with events, the wider marketing and social media sphere of the industry. I will also take up writing in addition to my design role as I will be writing several posts for the company’s blog which fits in with my MA studies, findings, beliefs and how this sits within my role. In addition to my ‘professional’ day to day role, I am still freelancing building my own practice, and continually update my website and behance. platforms to promote myself, as well as using social media/Instagram. This module has allowed for unexpected achievements, such as gaining a new job role (for an ethical beauty company), whilst also exhibiting alongside relevant, current and exciting practitioners such as Bay Backner. An exhibition was not in my original objectives. Therefore, collaborating with the likes of artist Bay Backner and fashion photographer Talia White, have allowed my creative practice to be showcased in a different way (blog posts: here and here). I also had not expected for the LCA library to take my magazine through acquisition, and the magazine is to be on the academic reading list for BA(Hons) Creative Advertising at the college, being used both as an academic tool and a creative object (design, art direction, copywriting). I had also not planned on meeting and engaging with so many industry professionals, (e.g. Beauty Director at Vogue Japan and Social Responsibility specialists and Designers at ASOS) as I have done, and that has made the course and the process of designing, writing, editing and creating The Industry magazine so much more fulfilling. A list of articles, features and editorials (including photography and art direction) can be found here. In some instances, such as publishing the magazine online on ISSU, different versions of the magazine were created in order to work ethically and not recirculate images for commercial purposes. This has allowed me to learn even more so how to work with good, ethical practice, raising awareness, and has also taught me about problem solving. As discussed previously (see ISSU post as linked above), the magazine for such reasons cannot be sold, and this is something which I will problem solve and work through for the next issue, which will only add strength to my own skill set and the magazine itself. The bibliography for issue 01 of The Industry magazine can be found here as well as being linked on the first page (bottom left, below ‘about’) in the magazine itself. Overall I have found this module extremely enjoyable and a great learning experience, which has strengthened my professional practice, whilst strengthening my future goals/planning and ambitions for The Industry magazine. Furthermore I have met and exceeded my set objectives as outlined at the start of this module (and blog post). I have created an independent magazine and creative/academic object, which is now in curated touring exhibitions around the country, as well as acquisitioned in the specialist arts library at LCA Blenheim Walk. 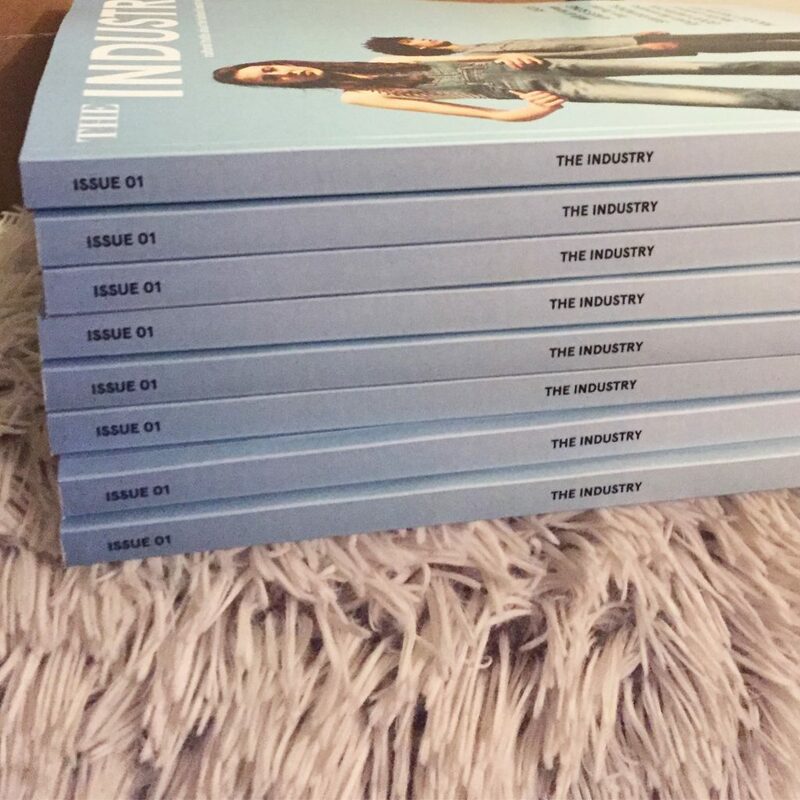 The magazine critiques the beauty and fashion industries with a global perspective, whilst being an academic document for the use and reference of other students. The document is also an academic paper for my own future route to a PhD through a now on-going project, which will be a vehicle for my personal and professional planning for my creative and professional practice. There are in hindsight things I would change or alter in regard to design decisions, i.e. being more creative in terms of collage or colour usage, and perhaps a wider range of fonts, however overall I am happy with the final outcome, and any amends I would like to make can be made in issue two. I feel that the magazine has evolved over the course of the module, allowing for more content to be implemented that was initially planned as more research has been carried out, i.e. ‘China Live Streaming’ article/video. I am happy to have collaborated with a range of designers, photographers and models, and feel that I have achieved my initial objectives and aims and surpassed these as discussed above. I would have also liked to curated my own ‘launch exhibition/party’ for the magazine, however instead I will be featured in several upcoming and on-going exhibitions in around the country (2017), in collaboration with Bay Backner, Catherine Worsley and potentially other artists. This will also promote my publication on a national scale, whilst future plans for a website/digital collaborative hub allow for further growth on an International scale, building on the likes of ISSU and Instagram. I feel excited to continue The Industry magazine post hand-in, and have already started to reach out to industry professionals to begin the research process, i.e. Chiara Ferrigani (Italy). Anything which was not achieved, i.e. my own exhibition/website/digital hub will be built on for issue two, and if anything this has been a great learning experience, and has allowed for me to see which areas need more work, consideration and development going forwards to really make The Industry to be a well-known academic, critical, creative and collaborative magazine. Below shows the objectives which were set out at the start of Semester 1, and that have been worked towards throughout Semester 2 and Semester 3 a like, and the subsequent modules. For each objective I have written an evaluation to show how these have been met, and at times exceeded, as well as discussing how they have been a continuation of the work and research from both semesters 1 and 2. This objective has been met through the writings in the first issue of The Industry magazine based on ongoing research throughout this semester, whilst also taking into account that the majority of my research has been carried out in semester 2 (evaluation of this research from semester 2 can be found here). I have found that this semester, this objective has been more focused on accumulating all of the research which has been carried out over the course of the year, and has subsequently been written about, edited, art directed and designed/photographed in regard to both objectives 1.A. and 1.B. In addition to objective 1.B., further research into Eastern cultures has been carried out during this semester, including looking into Chinese customs in regard to women, surgery and expectations, therefore adding a different perspective and additional socio-cultural knowledge to the first issue of the magazine. Like noted for objectives 1.A. and 1.B., the majority of research for this objective was carried out in semester 2, speaking with ASOS, Vogue Japan, B-EAT, Nadine LeBlond and Tam Dexter, gaining industry insights and perspectives, however this research has continued into semester 3 as new topics of interest have been found and unravelled. For example, Good American and the positive attitudes of Khloe Kardashian and Emma Greedy have been researched into this semester, whilst also reaching out to their agents and PR teams in the hope of discussing how as a brand and as celebrities they hope to change the industry through their brand guidelines and ethos. Additional interviews were also carried out with Nadine LeBlond in order to gain another perspective as to how an Art Director and Creative Director, you have to work with and almost at times, create your own guidelines to achieve a sense of positivity within the beauty and fashion industries to counteract some of the negativity in it, and show people diversity and different ethnicities which can be disregarded in some guidelines and brand standards. In addition, I have began working at High Definition Beauty whom have their own guidelines on which images can/cannot be posted on social media or through their campaigns as they hope to show women, and men alike, how to be the best versions of themselves, opposed to negating to changing their looks to look like someone else or to maintain an unattainable and unrealistic body image. I feel this ethos and moral view on guidelines has restored some faith in the industry after having researched the negative impacts on people for so long. Again, any polices and guidelines which have been researched throughout the year have been written about and put into the first issue of The Industry magazine to showcase positive perspectives and guidelines, and how there are positive influences balancing out the negatives. How this objective has been met in semester 1 and 2, prior to being ‘written up’ and editorialised can be found here. This module has allowed for me to build on relationships built in Semester 1 and 2, whilst also allowing for additional relationships to be made. These are noted below. These extra contacts have allowed for additional content to be put into the first issue of The Industry magazine. These are contacts, along with those made in Semester 1 and 2, which I hope to continue to speak with, work with and collaborate with going forwards in my practice, whilst also developing new contacts and links. In addition, the use of Instagram and social media platforms has allowed for consumer/user relationships to be built. Relationships with fellow practitioners such as Bobbi Rae, Nadine LeBlond and Bay Backner have also been formed in order to showcase and collaborate for a unified aim. All of the above has been working towards either working with, or aiming to educate, or inform one, regarding behaviours and perspectives regarding to self perception and body image. In addition to the above, my current job role has allowed me to meet new industry contacts, on the ‘inside’ such as models, makeup artists and fellow designers/marketing practitioners, whom will be invaluable in the future when working towards the second issue, and also in my long-term career within the fashion and beauty industries. All of the contacts I have made, share similar opinions and perspectives, whilst having unique viewpoints and experiences which I can learn from and grow with. This particular module and semester have allowed for this objective to come into fruition, collating all of my research and practical work to date throughout the MA into a combined creative object, which acts as not only a magazine for reading pleasure, but also a critical, academic sourcebook which encourages debate, discussion and thought. I feel I have not only prototyped design work, but I have created one piece of well thought out, designed, edited work, opposed to a ‘range’ of experimental works as produced in previous modules. I also feel I have exceeded this objective with the magazine being included in several collaborative exhibitions (end of year show, Tambourine in Saltaire, and upcoming exhibition at Munro House, Leeds) and being showcased at the Blenheim Walk library at LCA and at Talia White Studios in Birmingham. 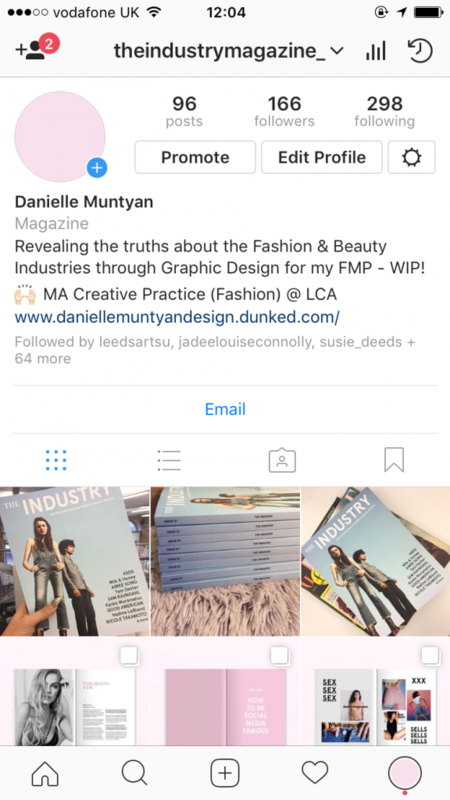 I also have an Instagram account for the magazine as previously discussed which has helped to target the magazine not only to the noted 18-24 year old female demographic, but 18-34 year old males and females, which is much broader than I expected, yet I am delighted to be able to inform a wider range of people about a current, relevant topic which I feel is so important to me. Regarding my future plans for The Industry (discussed here) I have written a new set of objectives, which can be seen below. For issue two, I plan on looking at Europe (England, Spain, Italy, France – the main beauty and fashion capitals of mainland Europe) in the hope of understanding how Brexit and the current political climate will affect the industries, brand growth, marketing, sales and education, for example, in the sector. These objectives are on-going and aim to form a skeleton plan for the second issue of the magazine, whilst also looking more into the ‘male’ side of the noted issues which is something which has not been looked into much throughout the modules throughout the MA. However, since using the Instagram account and realising that there is a wider demographic of those interested (both age and gender), I have decided to research into this much more intently. A. Females and Males, 18-34, Europe – UK, Spain, Italy and France). B. The consumer and corporate climates of the beauty and fashion industries (relative to marketing, sales, curation of exhibitions and catwalk shows/fashion weeks, education and brand growth). 3. To work with and interview those both actively working in the Fashion and Beauty Industries, and those on a consumer/follower/user/educator/politician/government basis, to help understand and work through the points noted in ‘Objective 1.A. and 1.B. 4. To prototype a range of design work targeted at the noted demographics that highlights impacts of cross-cultural consumer, corporate and education climates of the beauty and fashion industries as a backlash of Brexit and political change in the EU. I was given 8 copies of the magazine to allow for copies to be sent out to the relevant exhibitions I am partaking in as well as allowing for a copy for the LCA Blenheim Walk library, and for the Talia White Studios in Birmingham where one copy will be showcased. In addition, copies ere also need for the final hand in and LCA end of year show, as well as keeping a copy for myself and donating one to my employer for colleagues to read on their lunch and rest breaks. I am really happy with the print of the magazines, and has worked out much more cost effective in time and money in comparison so printing with Blurb which was my original plan – however due to the increased volume in how many I need printing and within the allotted time frame before hand in and the partaking exhibitions (Tambourine in Saltaire in particular with Bay Backner), it was more sensible to print these locally using my established connections in the industry. 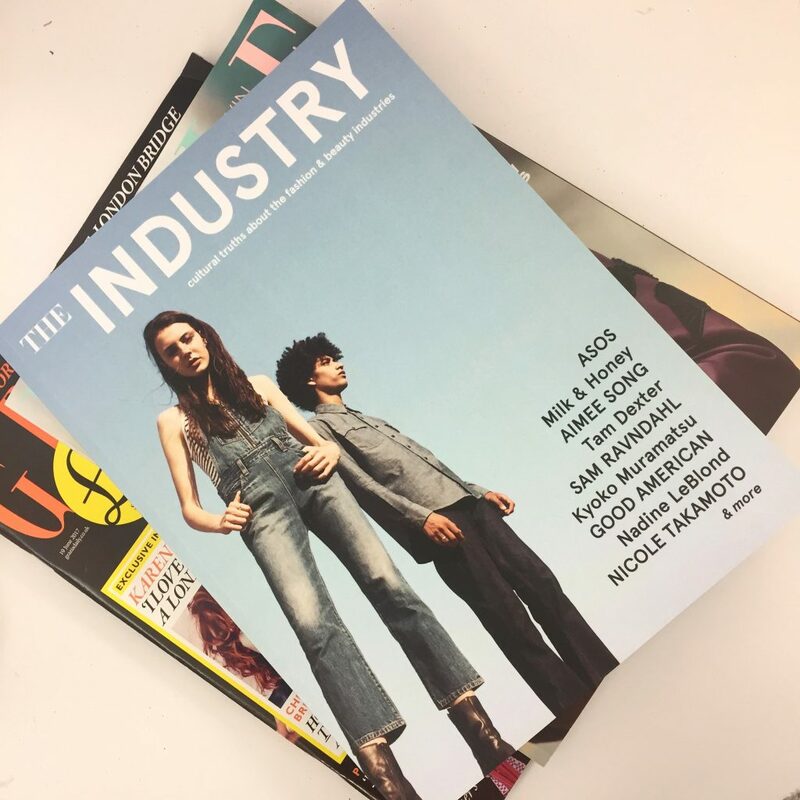 The issue of The Industry magazine which is to be submitted is the first issue in what I plan to be a series, discussing different cross-cultural topics surrounding the beauty and fashion industries, looking at different perspectives and current issues. The first issue very much focused on cross-cultural issues across the East and the West, whilst looking at how trends, social media, magazines and the rise of ‘celebrity’ and vloggers/bloggers affects self-perception, self-esteem and narcissism. I also would like to look more into the ‘male’ side of the noted issues which is something which has not been looked into much throughout the modules throughout the MA. However, since using the Instagram account and realising that there is a wider demographic of those interested (both age and gender), I have decided to research into this much more intently. I also plan on producing a website (this was initially planned in my original proposal for this semester and module, however the magazine and associated work to fulfil this to a great standard took priority) which will allow for a digital platform for ‘The Industry’ to become a collaborative hub. By this I mean that the magazines will be showcased digitally, allowing for international readership, reach and exposure, whilst also opening up doors for people to contribute via a ‘contributions email address, or call outs (website and social – for relevant content for the decided overarching concept/issue at hand) – articles, stories, news in their country/area, photographs, etc. This will form a ‘collective’ approach to the magazine. I plan on hopefully forming the magazines in the future from soley collaborative content, with myself becoming sole editor, opposed to fulfilling all of the roles needed to produce a magazine. This will allow for a quicker turnaround in magazines (perhaps 4 a year), whilst also allowing for the magazine to have a further range of perspectives from a wider range of contributors. I would also like to keep in touch with contacts made, as noted in a previous post, with the hope that they may want to contribute again or point me in the right direction of new industry contacts, i.e. Vogue France, for example. I also have kept in mind that a disclosure would need to be made on the website that any published articles and images will be digitally recirculated in the form of upcoming issues (potentially also in print later down the line, hopefully) complying with good ethical working practice. By doing this, I will alleviate any potential problems with the redistribution of images by gaining relevant consent and permissions, meaning that the magazine could actually be sold, rather than just viewed as an object, a magazine and a source of academic and educative content. I would also like to continue with social media platforms (Instagram has already been used) and move into both Facebook and Twitter. By having its own functioning website, the content and contributions will be easier and more readily availale to view opposed to using ISSU as showcased in this semester due to the lack of web presence. I have not had my own exhibition/launch event for the magazine, despite being in various exhibitions, as noted in previous posts (can be located here and here), an would like to plan one for the second issue. I imagine at the moment that this would be local, and perhaps celebrate the first issue also, hopefully gaining further exposure and possible collaborators also. I feel that The Industry magazine has much more to offer, and feel that this module has allowed for a big stepping stone to success, and has only touched the surface of the what the magazine could become, especially once it enters a digital realm. A personal aim of the MA course was to not only develop my knowledge and interests as set out in my initial proposal, but to also develop my professional practice as a graphic designer freelancing within the beauty and fashion industries, but to make myself more employable within the industry to gain full time employment once the course has been completed. I attended an interview in May for a Lead Graphic Designer role at High Definition Beauty, and after completing two interviews and and an interview brief I was successful in getting the job. I am really happy to be working at a beauty company which fits in with my ethical and moral stances on the industry, which have been highlighted throughout the course of the MA – this company aims to make women the best they can naturally be, without feeling the need to promote unattainable ideals. I spoke to my now manager, during interview about my MA studies and research, and how it is important that voices from the industry, as seen in my magazine, are not seen or heard often but are valuable to ensuring that different perspectives are taken into account, especially when working in the industry and are valuable in regard to working with good practice an ensuring that the companies I work for project an image and ethical stance which I agree with and feel comfortable working within. Below notes a quote taken from my manager regarding my interview and employment. Above shows the final print ready PDF which has been sent to The Print Academy in Bradford to print, following minor editorial changes being made to various pages and to the editors letter of issue 01 following my last tutorial with my tutor. The magazine will be printed at The Print Academy, and then bound elsewhere in Leeds, however all being arranged by the printers. I originally was going to print through Blurb, however there is not much control over the final printed document, with only 2 presets to choose from in regard to stock ‘standard’ or ‘premium’, as well as having expensive shipping rates and taxes, being printed in the US. It was also not guaranteed that the magazine would reach me before hand in, and more so before July 27th – the launch of ‘Modern Colour’ at Tambourine, in Saltaire. Therefore, using a printer was a much safer option in regard to time scales and also in regard to choosing stock. The inner will be 115gsm silk, whilst the outer will be 150gsm matte. I am lucky to know the printers due to the printers working with the company I work for, therefore I liase with this contact contact at the printers most working days. Therefore it was possible to be negotiate more so than you normally would. This also allows for another contact to be made for my Professional Practice, meaning that any future issues, copies or promotional collateral will also be printed via The Print Academy. In order to share my magazine around the world, Internationally, via digital mediums, the first edition of The Industry magazine has been shared on ISSU – an online publishing platform, which allows anyone around the world to read it. However, some content has had to be removed as some images cannot be recirculated or sold online, therefore it has been edited to be ethical and show good working practice. In addition, by using ISSU to showcase and publish on an International scale, this will hopefully gain interest from readers, and possibly raise interest for potential contributors for issue 2. In addition, as costs and budgets for printing the magazine meant that I could not print one for everyone who contributed or that has shown interest to date, by sharing in this way it means everyone, if they want to, can read it. In addition, it has also be shared via Facebook and via Dropbox allowing for a range of people, locally and nationally to access the magazine via a download link from Dropbox. The above sharing platforms, including social media, showcase how my magazine will gain further local, national and international context and interest, being shared digitally, whilst also being a good platform to find other independent magazines for designers and writers for collars Internationally whom have similar interests for future editions.